Abdelaziz Bouteflika's ruling National Liberation Front (FLN) party has called for the ailing president to step down, following similar calls from its coalition partner the National Rally for Democracy (RND). In a party statement released Wednesday, the FLN announced their support for the army's call for the invocation of Article 102 of Algeria's constitution, which will essentially remove Bouteflika from power. "We announce our support for the initiative as a start to a constitutional plan that will allow us to protect our country from dangers," the statement read. 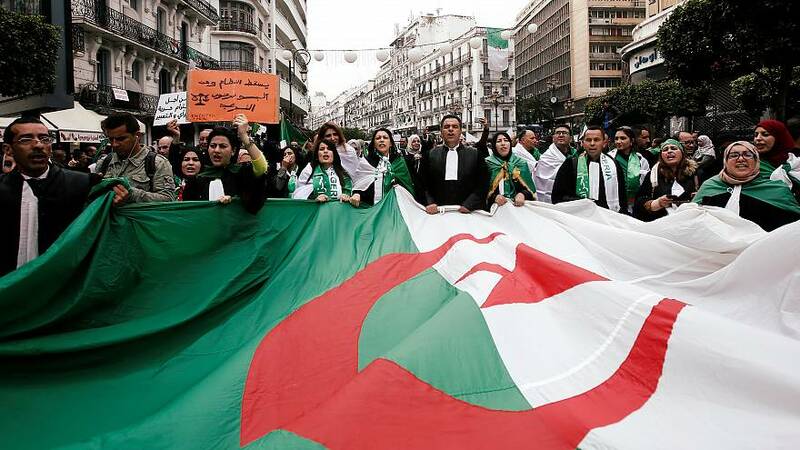 The FLN party led Algeria's independence war against France in 1954 and has been in power ever since. Earlier on Wednesday, Seddik Chihab, a spokesman for Algeria's coalition RND party, called his president's administration a 'cancer' on Wednesday morning. Chihab was talking to Algerian channel Echorouk TV. This follows former Algerian prime minister and RND leader Ahmed Ouyahia encouraging Bouteflika to resign, according to a party statement. Former Ally, Ouyahia's message was yet another blow to Bouteflika's withering leadership after Algeria's army chief withdrew support for the embattled president on Tuesday.